When a planetary civilization reaches a certain level of evolution it is possible for its consciousness to blend and for each entity in that civilization to have access to all of the knowledge of every other entity who ever lived in that civilization, much like Jung's collective unconscious of humanity becoming consciously available to each person on Earth. In The Law of One, Book One, we find that this process is now culminating on planet Earth as 75,000 years of human evolution of mind, body, and spirit is about to produce its fruit. Millions of years ago the consciousness of the planet Venus blended into the “social memory complex” known in Earth's history as Ra. When such a blending has taken place the primary method for such civilizations to further their evolution and union with the Creator is by offering their service to less advanced civilizations who call for aid in their own evolution. 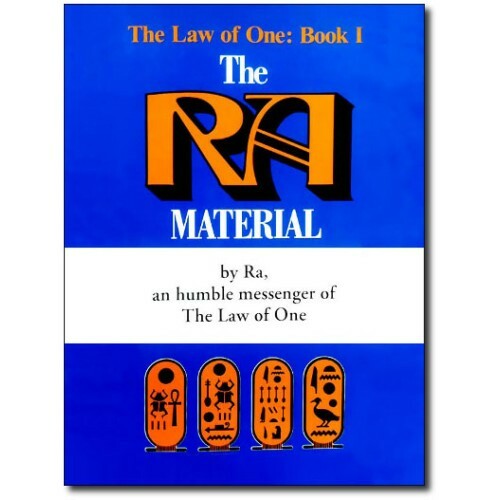 Eleven thousand years ago Ra answered such a call from the Egyptians and for a short time walked the Earth in order to teach the Law of One in person. 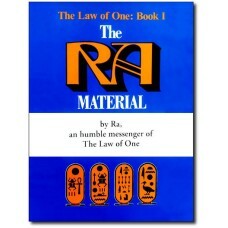 At a later time Ra also built many of the pyramids for use by the Egyptians in healing and initiation, but because the Egyptians worshipped Ra as a god and distorted Ra's teaching of the Law of One, Ra was forced to leave the Egyptians and wait for another opportunity to balance the distortions in the Law of One for which it felt responsible. On January 15, 1981, our research group was unexpectedly contacted by Ra when one of our members went into deep trance seemingly quite by accident. The format of the contact was quickly defined as question and answer only, and the first 26 sessions of the on–going contact were collected in Book One of The Law of One. This book describes the mechanics of the spiritual evolution in which each entity on Earth is now participating and methods for accelerating that evolution. Book One contains a great deal of information on the history of Earth's spiritual evolution, Atlantis, Mu, and the unique situation that was created by the transfer of entities to Earth from many locations throughout the universe so that they could repeat the third density experience that is now ending on Earth. Also discussed is the destruction of the planet Maldek, the attempts at conquest of Earth by the Orion group which is of negative polarization, the Confederation of Planets which is of a positive polarization, and the Council of Nine located within the rings of Saturn which serves as Guardian for Earth. Book One covers in detail the “harvest” into fourth density occurring shortly after the year 2,000, the nature of Wanderers, the densities of this octave of creation and the nature of each density. Also given is much information concerning the healing process and some basic exercises for those desiring to become healers. Book One contains Sessions #1 through #26.